As a camp cook, Vickie Brown loves feeding any size crowd in the great outdoors--with one notable exception. She never would have predicted she'd join the crew led by gruff cowboy Slade Wilder, the man who broke her heart just days before their wedding. Life has gone on since Vickie left him, but Slade can admit his attraction to the one woman he's ever loved remains stronger than ever. If he wasn't in such desperate need of an experienced cook for his paying guests, he would send Vickie packing. He knows better than to seek out the company of the woman who broke off their engagement so many years ago. Except there's no escaping each other in the confines of the wilderness area, especially once their anger begins to soften in the shared close quarters. 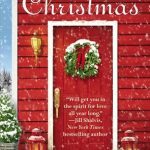 But after Vickie finds the courage to confront Slade, it will take a leap of faith for them to put their past behind him, even if it's the only way to recapture their once-in-a-lifetime love. 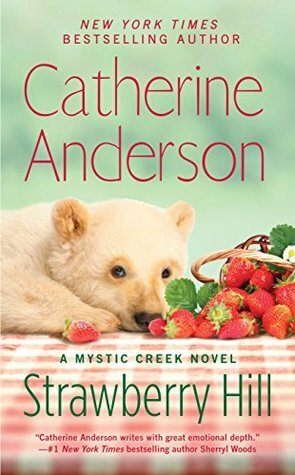 It was fun heading back to Mystic Creek with Strawberry Hill by Catherine Anderson. This is the fifth novel, but will work as a standalone. A second chance romance, a budding romance and a bear made for another interesting visit to this small mountain town. Each year I’ve enjoyed a new visit to Mystic Creek, Oregon. This small-town series has introduced us to the townsfolk and ranchers in the area. Strawberry Hill shares the second chance romance of rancher Slade Wilder, and Vickie Brown, his high school sweetheart. The two were engaged when miscommunication and interference drove them apart. Almost a decade later when Slade needs a camp cook and Vickie’s son needs help she applies for the job. Sparks, pranks, and revelations occur as these two sort out the past and plan the future. I felt bad for both Slade and Vickie but was happy to see them get their second chance at happy. While the pranks and teenage behavior were a turnoff for me, it helped drive the story. We also get to enjoy the beginnings of a romance. Deaf foreman Wyatt finds himself almost arrested by Slade’s niece. She is a county deputy whom he unknowingly ignores. Through them we get to see a horse whisper in action, interact with other townsfolk whose stories I hope will be forthcoming. For me, I would have preferred the romance focus on this couple and I was sad to see we didn’t see the romance develop further. The bear on the cover ties into the story, and I enjoyed both the lessons and antics. I am hoping we learn more about him. Fans of small-town romance will enjoy getting to know the townsfolk who call Mystic Creek, Oregon home. Fans of Robyn Carr’s Thunder Point series will enjoy this clean romance. Adeline Catherine was born on 22 December 1948 in in Grants Pass, Oregon, USA. She always yearned to be a writer like her mother. The morning that one of her professors asked if she could use samples of Catherine’s creative writing on an overhead projector to teach was a dream come true. 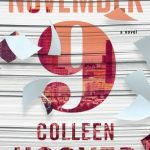 In 1988, she sold her first book to Harlequin Intrigue and went on to write three more before she tried her hand at a single-title historical romance. Nine books later, she did her first single-title contemporary. That cover is so cute! I love Catherine Anderson, she always writes the best western romances. I really like the length and how involved you feel in the communities that she creates and the romances. I like the idea of the side romance in this book, that’s not something I’ve noticed in other books that she’s done. I’m glad you enjoyed this one! I shall definitely be heading over to Goodreads now to add it to my TBR list. Thanks hun! I love the cover and this sounded cute, I appreciate your comments. Thanks for sharing. Sounds great. The cover is so cute. This looks really cute. I love that cover. I just want to hug the bear cub. This sounds like a cute romance. Something I’m ready for. The cover is adorable. 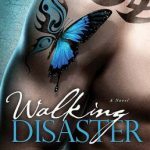 You haven’t rated it as high as your other romance books, Kim but still sounds like it’s worth the read. Happy New Year! I had mixed feelings about this one. I did love that Slade and Vicky finally got it right, but I was sad it took over 40 years to sort things out when they could’ve talked out the accusations right when it happened. The fact that Vicky still continued to believe a passing acquaintance over Slade, a man she grew up with and loved with all her heart got old. Also, I started this book after reading the incorrect book description so I went in thinking it was Wyatt and Slade’s niece (can’t remember her name right now). So I was very confused when I got to the last page and nothing really happened between them..
I’m always a sucker for small-town anything, really… Thank you for sharing. I’m sure Wyatt and Slade’s niece will get a story in the future. It’s too bad you seemed to like them more than the main love interests. I would agree that pranks and all around immaturity would bother me. I’ve never liked pranks. I’m a very loyal person so whenever a cousin wanted to do one on a brother of mine I always said no and warned the brother. The bear is cute on the cover. I hope that you get to read more about him in the future because I’m curious and I haven’t even read the book yet. “a budding romance and a bear…” I’m intrigued by the bear’s role in the story. Thanks for the post. I love the world of this series and many of the stories. I struggled with this one. I liked some of it, but not other bits. The pranks weren’t my thing, either. I do hope Wyatt and Erin get their story next. I have read a couple of books in this series and enjoyed them. A nice, sweet, HEA series that I should get back to. Nice review Kim. This sounds like a fun story. I love when standalones tie in together to build a larger picture of life in a community. The cover also has me intrigued how the bear will tie into the story! The cover is really cute, I saw another review a bit like yours a few days ago.